Who doesn’t like a really tasty burger? I know I do. But I also dislike the far to much appreciated crap served at McDonalds. I can, barely, accept Burger King – if I’m in a group of at least five and all the others agree to go there. But I never say no to go for a handcrafted burger. Sometimes it makes me smile, sometimes I leave with a big disappointment. 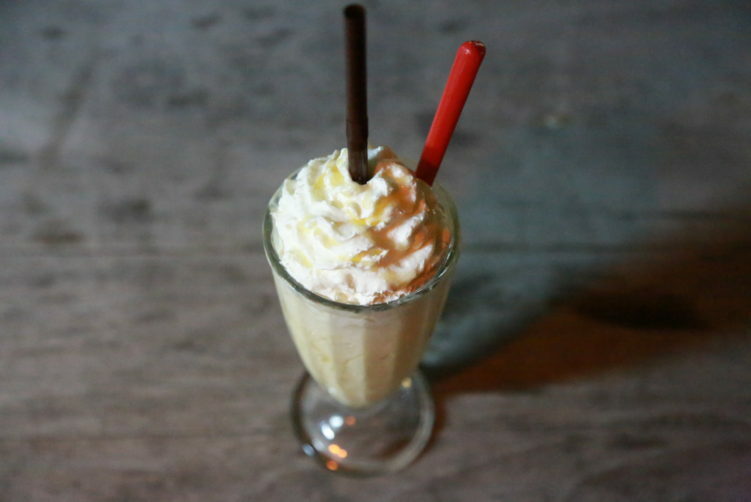 Papa’s Kitchen serves decent burgers with creative combo’s. And they have a good vanilla shake. My first visit to Papas Kitchen was august 2015 and I was really impressed by their burger with peanut butter, cheese, bacon and other goodies. In other words, ingredients that isn’t your hearts best friend. I didn’t published my article that time, as my camera failed. In other words, I needed to do another visit. Was it as good this time? A different burger, but the answer is nope. Their biggest mistake is serving a well done patty – as it looses much of it’s juiciness. Also, it changes the texture (more compact), and the taste becomes more of cooked meat than the delicious taste of superb red meat. Nothing perfect in other words, but still a lot better than many of the more famous handcrafted version around town. I know many asian’s like their burgers well done, but that’s just not the western way of doing it. And certainly not the way I want it. When using good quality meet as they do at Papa’s Kitchen, the burger should be rare at the center. Anyway, the add-ons are of good quality. One issue is of course, and this applies for most burger spots in town, rocket salad doesn’t have anything to do on a burger. Lukewarm rocket salad is just disgusting, and lukewarm it becomes when you put a warm burger on top of it. To just take it away would be a very good decision. Put it on the side, together with tomatoes (unless they are sundried) or any other watery stuff you might consider using on the burger. Personally, I would also have preferred a lighter burger bread, like a brioche or something, but that’s just me. Many will find the one used at Papas Kitchen just fine. The burgers at Papa’s Kitchen comes with a salad or some French fries on the side. I took the fries this time – decent, but nothing more. The service on the other hand was excellent. With my first visit in mind (see last years unpublished review below), I’m in no doubt that Papa’s Kitchen has the potential to make excellent burgers. But again, changes is needed. Good food is mostly about topp ingredients and heatcontroll. Mastering the heat is what Papa’s Kitchen need to work on. In my view, there is no real challenger out there to Escapade Burgers & Shakes today. Let me also use the opportunity to say that I really don’t understand the guys praising the burgers at Firehouse in Sukhumvit 11 as the real goody stuff. That’s at best clueless. And just to mention it, Papa’s Kitchen is far above the standard at Firehouse. I’m happy to come back to Papas Kitchen if they just get back to what they served me last year. This time it was just decent, but I will get back for another test, as they served me very well once before. But as it is now, it’s not worth the ride unless you’re in the area and eager for something greasy. The price for what I got last year was good, the price for what I got this time wasn’t value for money. And next time I want my meat red. See you next year. It’s not the easiest spot to get to, and coming from down town Bangkok, you would probably take the BTS to Ekkamai or Thong Lor before jumping into a taxi. When entering Pattanakan Soi 30 from Pattanakan Road, it will be on your left side just hundred meters into the Soi. 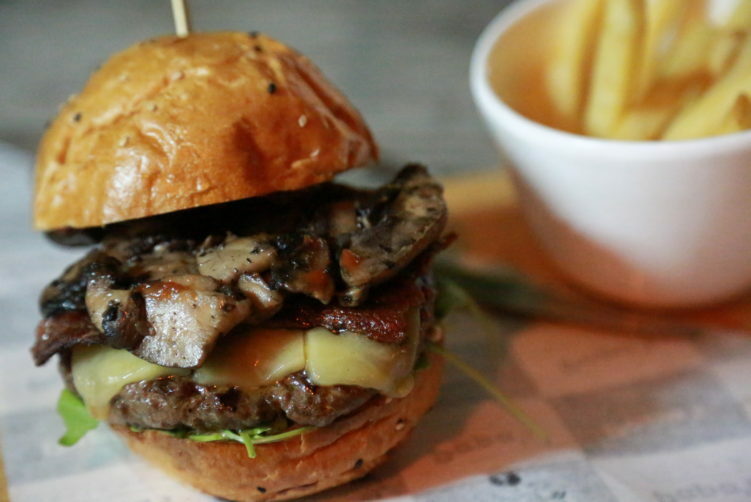 order now Food: Comfort food, starting to get a name for their burgers. Check out their Facebook site for more info. https://globaldevincubator.org/privacy-and-legal/ order now Price: 3-400 Bath isn’t exactly cheap. They use high quality ingredients, but to keep that quality until it’s on the customers table, they need to start serving the patty red inside when asked for. How to get there: Coming from downtown, take the BTS to Ekkamai or Thonglor before you jump into a taxi. OR, just take taxi all the way. 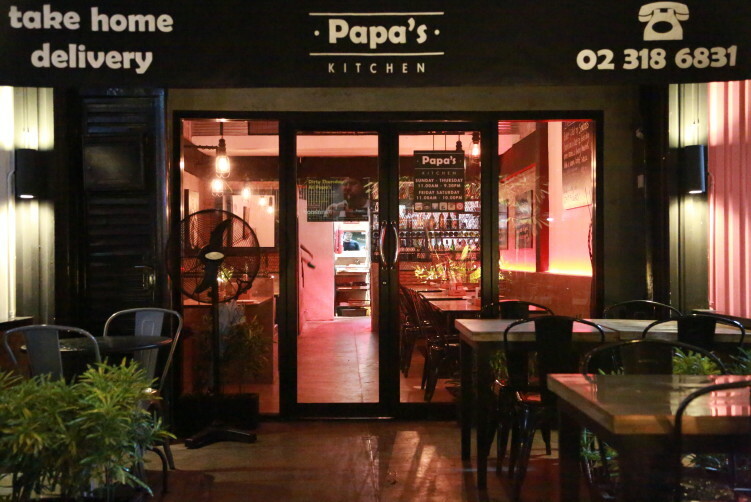 Papa's Kitchen in Phatthanakan soi 30 serves decent burgers, but with a potential to something bigger. See full review at Streetsidebangkok. “It’s prime Australian meat in those juicy circles, nothing cheap, nothing bargained at the morning marked, just quality all the way. I went for the P.B.J version. Aussie Beef Pattie, Crunchy Peanut Butter, Cheddar Cheese, homemade Chilli Jam, Crispy Bacon, Rocket Salad (that I took out as it doesn’t have anything to do in a burger) and Sun Dried Tomato Mayo. And what a taste. It was irresistible, and at the moment when eating it, I really thought it was a good idea coming late Sunday, just before closing hour. The juice was running down my chins, I had the stuff all over my hands – yes, you eat burgers with your hands. Papa’s Kitchen have plenty of alternative burgers to choose from, including the daily invention, as they really haven’t settle down on the lazy side when it comes to innovation in the add-ons business. 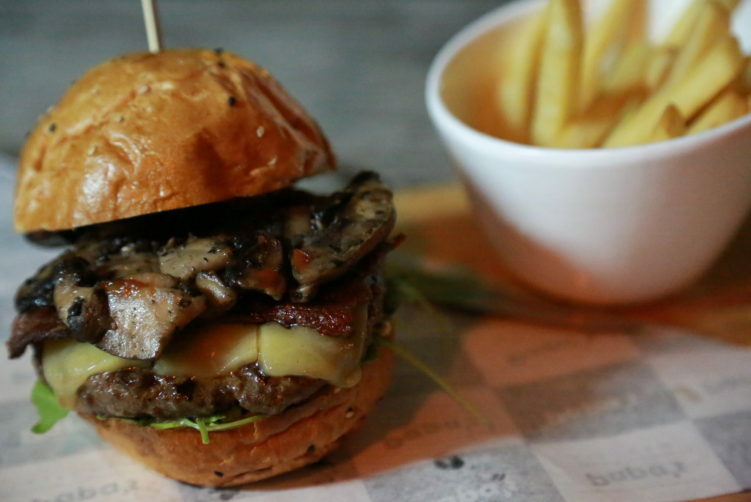 Alternatives comes with French Brie, with Portobello mushrooms, mustard sauce, Swiss cheese and whatever else that comes to your mind. And they do serve more then burgers. 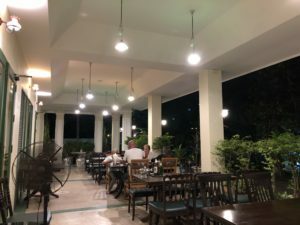 The menu include ribs, pastas and tuna fish together with a range of other alternatives that should fulfill most whises when in for some comfort food.